Vishay Intertechnology has named Mouser Electronics as the 2016 e-Commerce Distributor of the Year for Europe. 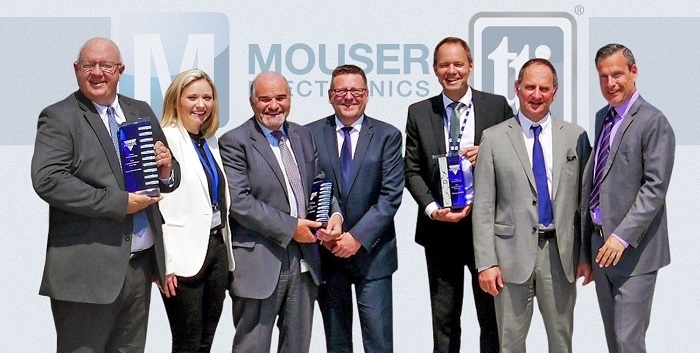 This is the fifth consecutive year that Mouser has received the prestigious award. Vishay Intertechnology manufactures a wide range of discrete semiconductors (diodes, MOSFETs, and infrared optoelectronics) and passive electronic components (resistors, inductors, and capacitors). With its broad product line and unsurpassed customer service, Mouser strives to empower innovation among design engineers and buyers by delivering advanced technologies. Mouser stocks the world’s widest selection of the latest semiconductors and electronic components for the newest design projects.